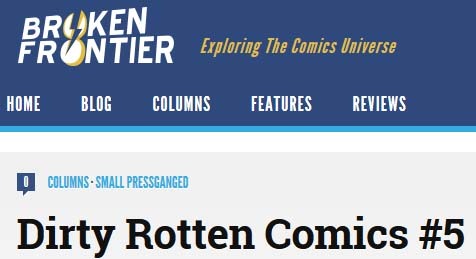 My comic has been reviewed over at Comics Anonymous. John Freeman has written on Dump #3 over at Down the Tubes. 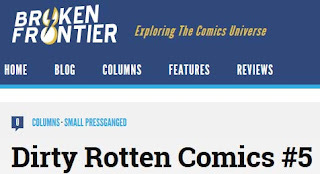 DIRTY ROTTEN COMICS #5: Available now! 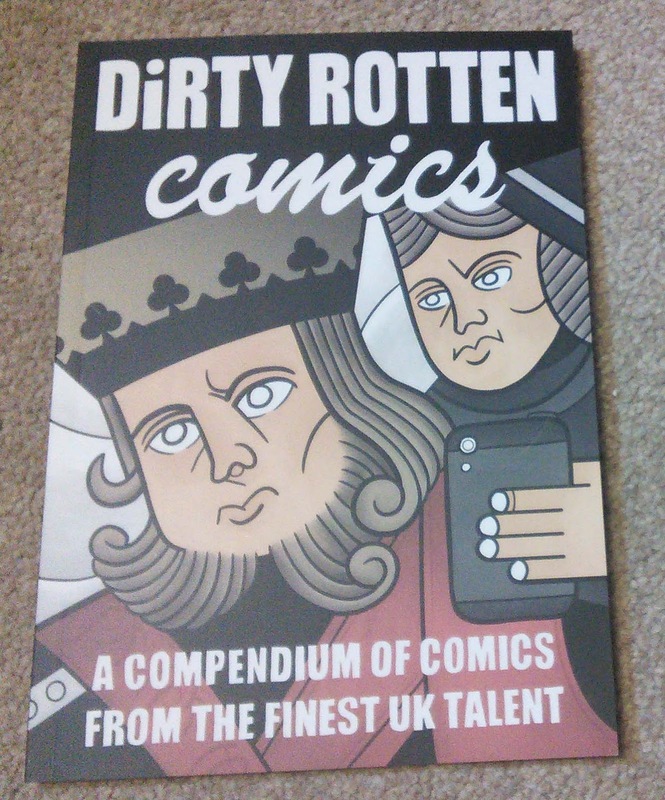 Further to yesterday's post regarding a review at comics website Broken Frontier, I am pleased to say that the postie today brought me my contributor copy of Dirty Rotten Comics #5. It's a fine book. Loads of variety and great comics. The story I have in there is "Tiddlywinks", which was itself the subject of a short series of work in progress blog posts here. 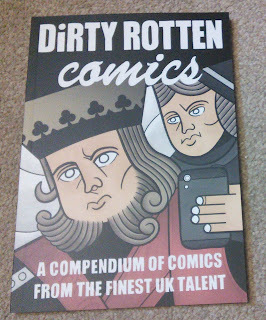 The book is now available at the Dirty Rotten Comics website! Amy Smith; Andy Barron (Website, Twitter); Anna Dowsland (Website, Twitter); Barney Farmer (Twitter) & Lee Healey (Website, Twitter); David Meadows & Andrew Potts (Website, Twitter); David Thomas & Rosa Devine (Website); David Ziggy Greene (Website, Twitter); Des Buckley (Website); Gary Clap (Website, Twitter); Ioan Morris (Website, Twitter); James Gifford (Website, Twitter); James Wragg (Website, Twitter); Jess Milton (Website, Twitter); Jessie Huckin; Jey Levang (Website, Twitter); Joe Callanan (Website, Twitter); John Dredge (Website, Twitter) & Joseph Champniss; Kevin Loftus (Website, Twitter); Kirk Campbell (Twitter); Matthew Dooley (Website, Twitter); Olivia Sullivan (Website, Twitter); Rozi Hathaway (Website, Twitter); Sarah Crosby (Website, Twitter); Scott Wrigg (Website, Twitter); Teal Barnes (Website, Twitter); Todd Oliver (Website, Twitter) and Tom Mortimer (Twitter). Gary Smith has written on an anthology I'm in - Treehouse #6 - over at The Big Glasgow Comic Page.